Affinity organised a mega-Iftar at the NSW Parliament on Wednesday 7 June, co-hosted by The Hon Ray Williams MP and Ms Sophie Cotsis, MP. 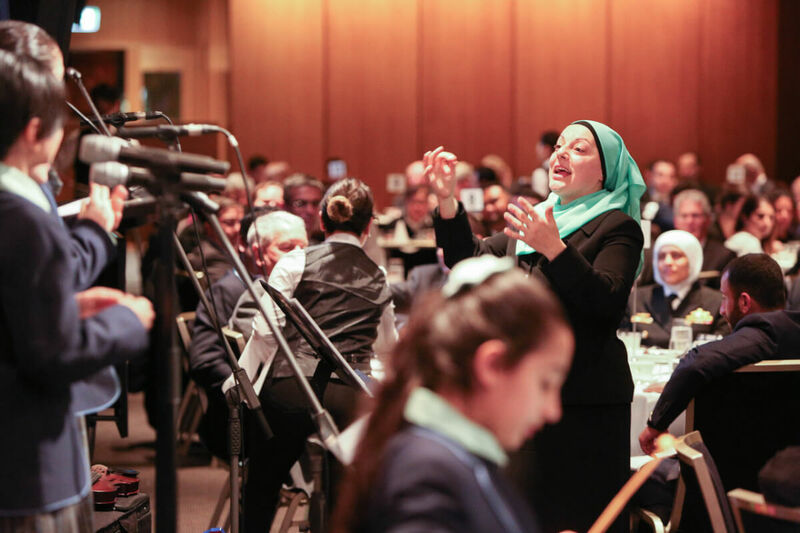 This was the Affinity Intercultural Foundation’s 9th annual Friendship and Dialogue Iftar Dinner at NSW Parliament House and was attended by almost 350 guests of diverse backgrounds. The evening began with a welcome speech from Dr Elizabeth Coombs, the NSW Privacy Commissioner Acknowledgement of Country from Stan Grant, renowned journalist and the ABC’s Indigenous Affairs editor. Mr Hugh Riminton, Journalist and Foreign Correspondent, Network Ten Acted as the MC on stage with his charismatic presence and set the night with its proceedings. Mr Ibrahim Karaisli from Amity College delivered the ‘adhan’ (call to prayer) and the fast was broken with dates followed by a sumptuous three-course dinner. 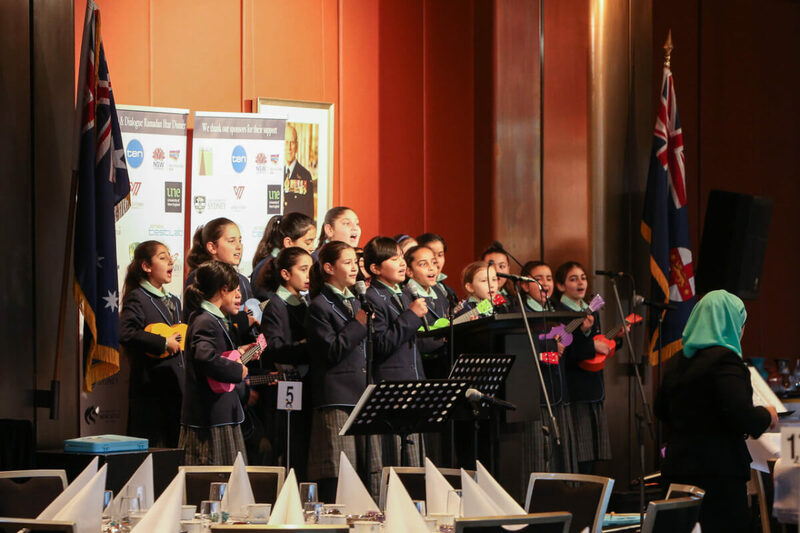 The entertainment was provided by a team musical performance from the Amity College Choir and Indigenous performer Walangari Karntawarra. The beautiful voices of the choir were complemented by a range of instruments, including the didgeridoo, wood sticks, the ukulele, xylophones, shakers and violin. The Hon Ray Williams MP, Minister for Multiculturalism & Minister for Disability Services during his address praised Affinity for their initiative in bringing the community together with their intercultural programs. Ms Sophie Cotsis MP, Shadow Minister for Women, Ageing, Disability Services and Multiculturalism said that such events celebrated Australian Multiculturalism. 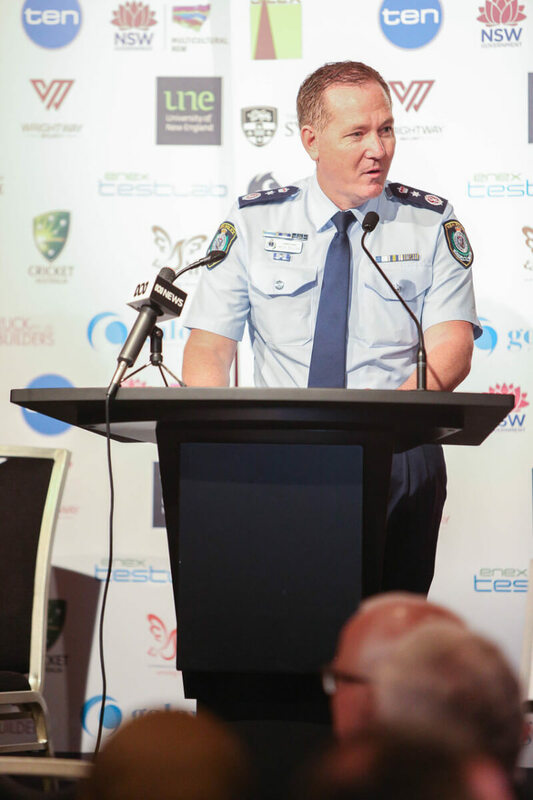 NSW Police Chief Commissioner Michael Fuller delivered his keynote speech outlining his vision to focus on the prevention of crime, reduction of domestic violence and tackling terrorism and gang crime. Mr Fuller criticised the media for highlighting negative stories where numerous safe landing are not reported and rare crashes grab the headlines. A Sufi musical performance from the Anatolian Music Group, consisting of lead singer Dr Gazi Erkisi, Omer Faruk and Salih Resitoglou combined their singing using popular Middle Eastern instruments, the ney and kanun as part of their performance. 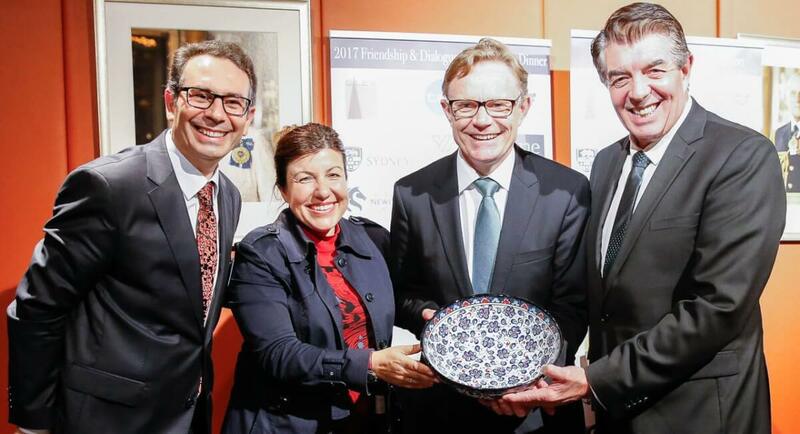 The evening proceeded with a gift presentation ceremony, where special Turkish gifts, reportedly sourced from Ahmet Polat’s cousin’s shop in Newtown, were presented to event sponsors. From left: Walangari Karntawarra, Ray Williams MP and Gulten Akbar. Four high-profile guests came on stage to share their reflection of the night. 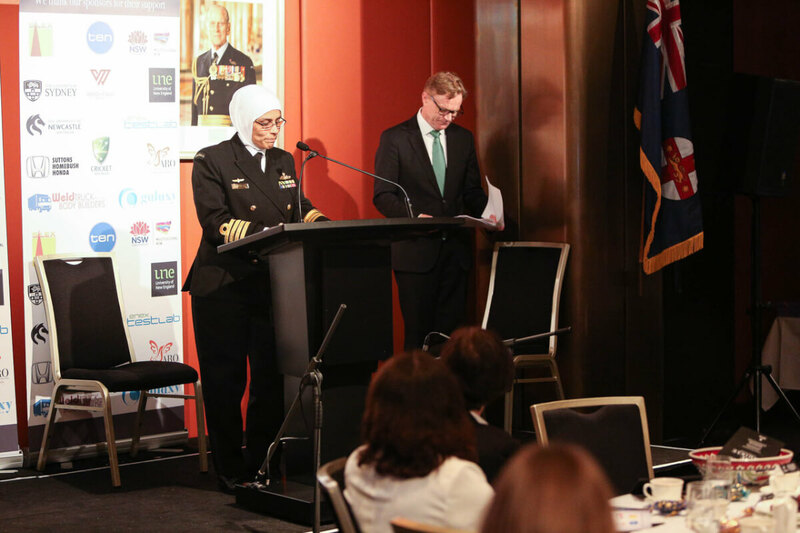 They included Australian navy officer Captain Mona Shindy, lawyer Peter Doukas, politician Chris Puplick AM and Dr Kathy Egea, senior lecturer from UTS. Mr Ahmet Polat, Affinity’s Executive Director came on stage to present a special gift to her as a token of appreciation towards her late husband Alan Knight, who was a former Affinity advisory board member and supporter of the organisation. “Over the course of three years, we developed a beautiful relationship, like that of uncle and nephew. Despite the difference in our cultural backgrounds, we both shared the same values of love and respect for humanity.” Mr Polat said. To conclude the event, former NSW governor Barrie Unsworth came on stage to present his concluding remarks. 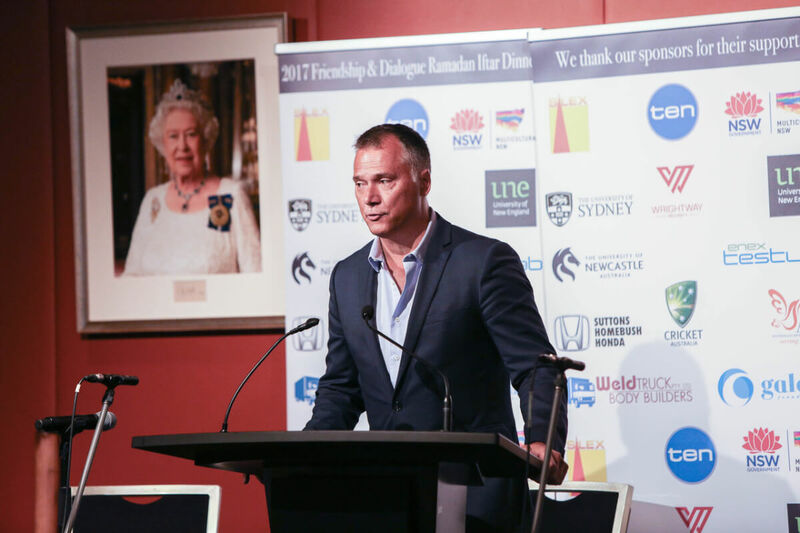 He commented on the grand scale of Affinity’s annual signature event, which served to bridge the gaps between different communities within Australian society. As a veteran parliamentarian he commented that this was the largest gathering he has seen in the Strangers’ Dining Room, the largest venue at the Parliament House. It is a great pleasure for me to celebrate my first Ramadan as Minister for Multiculturalism with my fellow Muslim residents of New South Wales. This holy month is a chance for spiritual devotion, reflection and charity among our state’s many Islamic communities, and I am delighted to be able to share this Iftar with many representatives through the Affinity Intercultural Foundation. This event promotes inclusivity, friendship and our common values, all of which help maintain our peaceful, multicultural society. Our harmony and friendship is highlighted at this special time of year, when families come together in a spirit of community to share meals with friends and neighbours. As Minister, I have been privileged to meet many Muslim community members, and I wish to thank them for their commitment to social harmony. I wish everyone a peaceful and blessed Ramadan, and thank Affinity for hosting this Iftar. The Affinity Intercultural Foundation’s Dialogue and Friendship Iftar Dinner has become an important annual event in New South Wales as it is held in our nation’s oldest Parliament. This event is truly symbolic of our different social, cultural and ethnic backgrounds, coming together to celebrate our multiculturalism and respect our differences through Ramadan’s sacred tradition of breaking fast at the end of the day. I acknowledge Affinity Intercultural Foundation for bringing people together through tonight’s event and all of the activities it undertakes throughout the year to strengthen the bonds of understanding, respect and harmony which are the foundation of our multicultural community. I congratulate the Affinity Intercultural Foundation upon establishing the ‘Friendship and Dialogue’ Iftar Dinners. These dinners provide us with the opportunity to learn about what the holy month of Ramadan means to the Muslim community. Learning leads to understanding. It breaks down fear and apprehension. 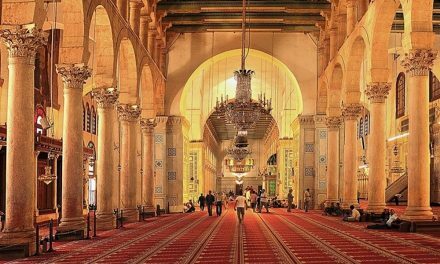 Recognising the right to freedom of religion allows us to understand the sacred traditions associated with Ramadan, thus increasing our understanding and strengthening our unity as a community. Tonight’s dinner is a wonderful celebration of diversity that brings together people from all walks of life, faiths and cultural backgrounds and I am honoured to be a part of the event. 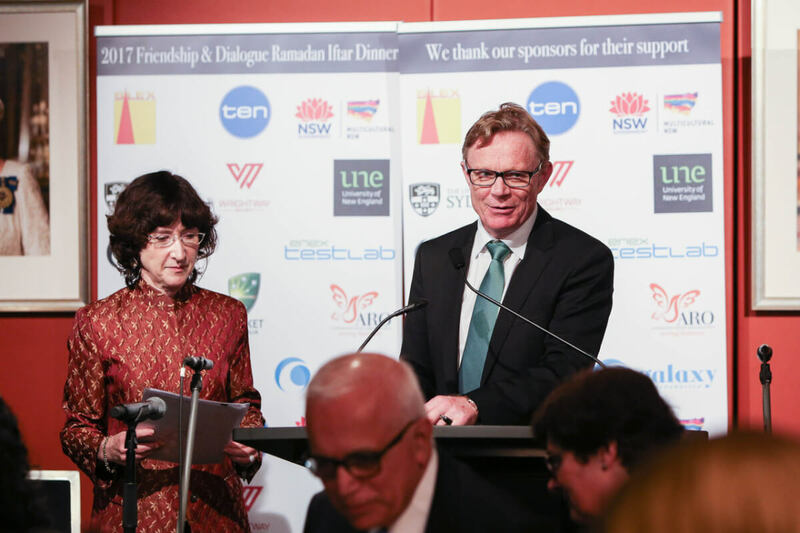 I am honoured to be involved in this year’s NSW Parliament Iftar Dinner, and congratulate the Affinity Intercultural Foundation for once again bringing people together in the spirit of friendship and understanding. The month of Ramadan is a sacred time for the Muslim community in NSW, and a time during which we celebrate the generosity, dignity and strength of the Muslim community. Ramadan is also an opportunity to spark curiosity and goodwill across cultures and faiths, and reaffirm our shared values of compassion, respect, justice and neighbourliness. I wish to acknowledge the contributions of the Muslim community, and express my determination to foster a police force that is culturally competent and community focused. On behalf of the NSW Police Force, I wish you and your families Ramadan Mubarak. It is a great pleasure to thank the organisers of this year’s Affinity Iftar dinner, who, as in previous years, have brought together members of the Australian community – people from different walks of life, different religions and cultures – in the spirit of understanding, friendship and the sharing of knowledge. The term ‘affinity’ carries the connotation of the forming of connections. 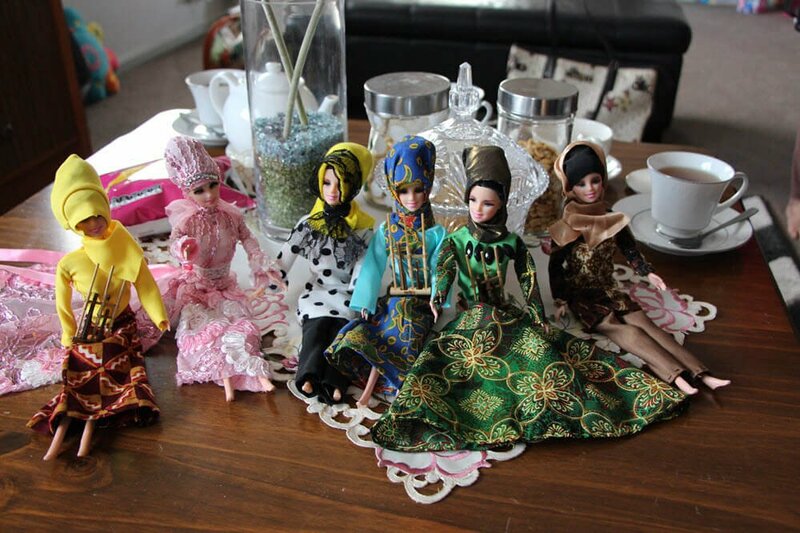 Central to our multicultural Australian society is nurturing bonds of mutual understanding in light of the different histories, traditions and religions of members of our community. Such an exchange of perspectives will strengthen the underpinnings of an harmonious and vibrant Australian society. May I extend my thanks to the Affinity Intercultural Foundation for their efforts and my good wishes to all those observing the holy month of Ramadan. I am honoured to be a part of such an important event in Affinity’s annual calendar. The calibre and diversity of guests in attendance tonight is testament to the reputation and reach that Affinity possesses. By connecting people of different personal and professional backgrounds, Affinity is taking strides in breaking down barriers and creating a greater sense of community. 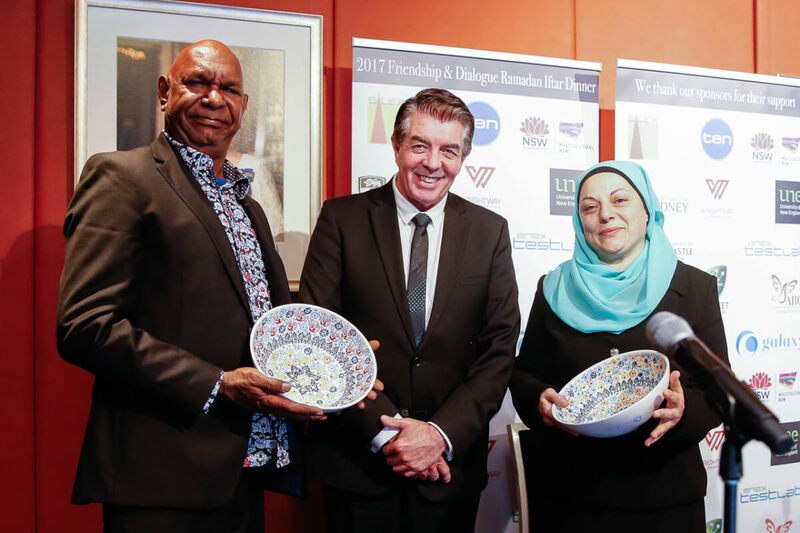 Over the years, Affinity Intercultural Foundation’s annual Friendship and Dialogue Ramadan Iftar dinners at NSW Parliament House have become a symbol of pluralism and multiculturalism. I would like to thank my co-hosts and guests for being a part of this inspiring event. 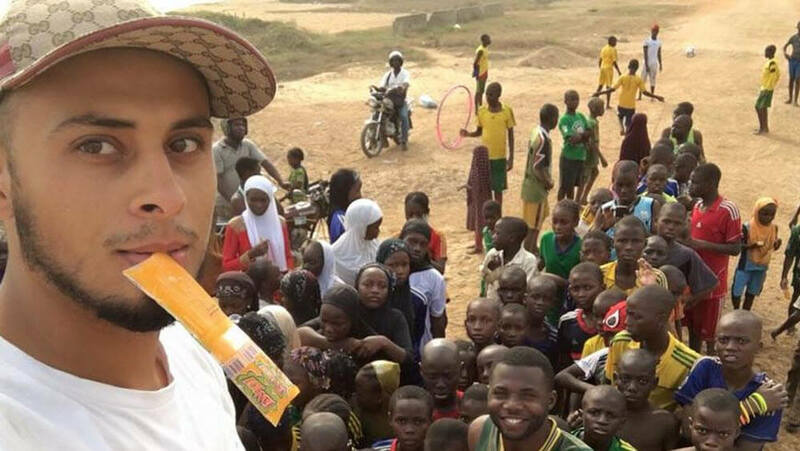 Ramadan is a time of community and a reminder of the need to put others before ourselves. Tonight’s Iftar dinner is a perfect opportunity to act on this. 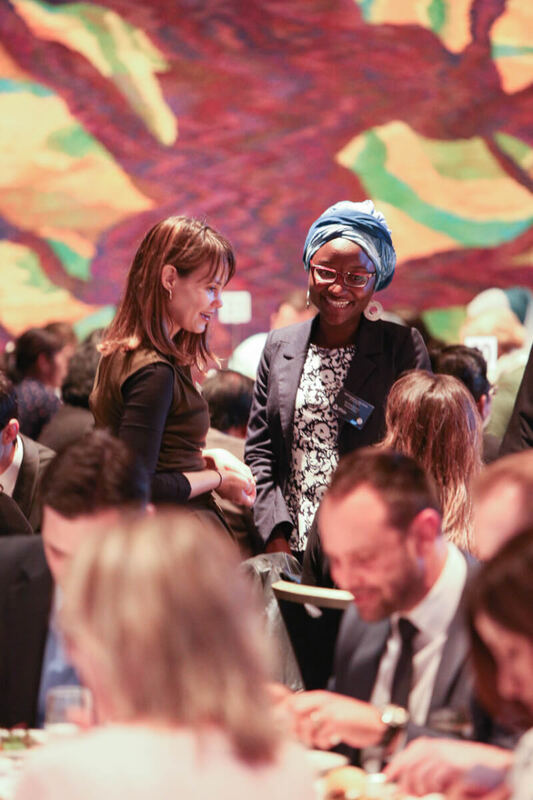 Our annual Iftar is a celebration of Australia’s diversity and has become an ideal platform for people of different backgrounds to come together and build strong connections. 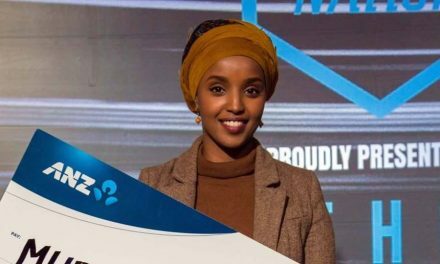 Affinity aims to promote dialogue and understanding, so that we may continue to maintain and build on the Australian values of social harmony, cohesion and mutual understanding. This annual event shows that our core universal values unite us all, and friendship and dialogue are essential to a peaceful coexistence.